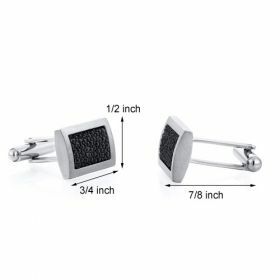 These sleek Cufflinks are crafted from durable, lightweight Titanium. 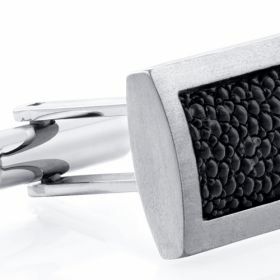 Titanium emulates the richness of precious metals and ensures a Promise of Forever, defines Strength, will never rust, corrode or discolor nor lose its Timeless charm to tarnish. The Folding Back closures ensure ease of use and elegance. Dimensions: 3/4 inch x 1/2 inch x 7/8 inch. 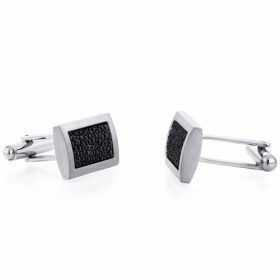 and is an ideal gift for Fathers Day, Graduation, Anniversary, Birthday or just about any gift giving occasion for him.